Nicole King. 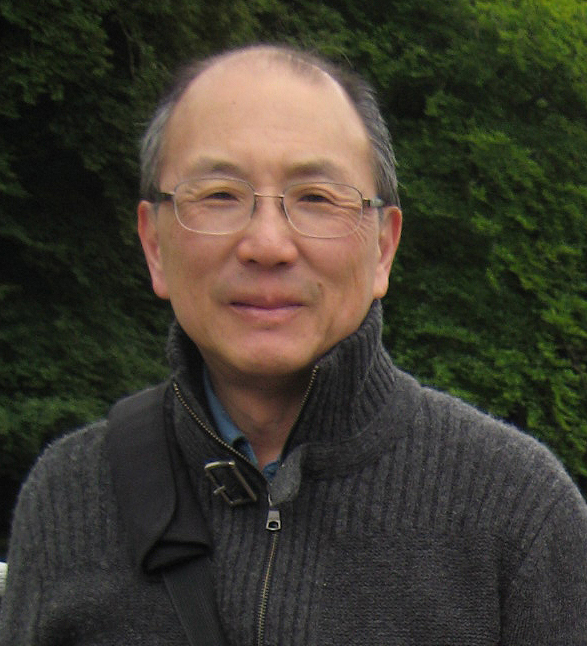 “Meaningful Contexts: An Interview with Alan Liu.” English Subject Centre Newsletter, 12 (April 2007): 6-9. 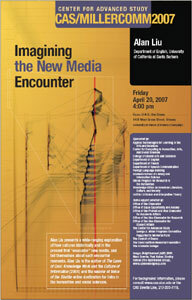 “Imagining the New Media Encounter.” Keynote lecture for “Interfaces and Visualizations: A State-of-the-Art Conference on the Humanities in Post-human Times” and Center for Advanced Study’s MillerComm Lecture Series. University of Illinois, Urbana-Champaign. 20 April 2007. * Publicity flyer for lecture.